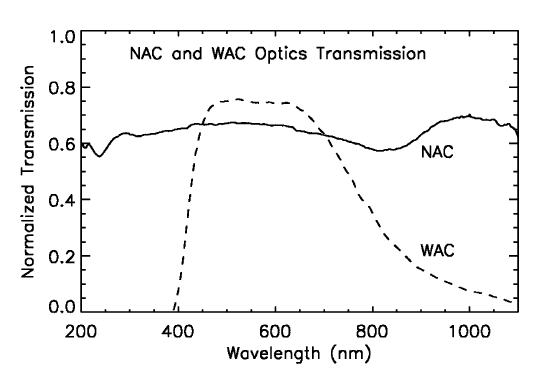 System transmission functions for NAC andWAC broad- and medium-band filters. 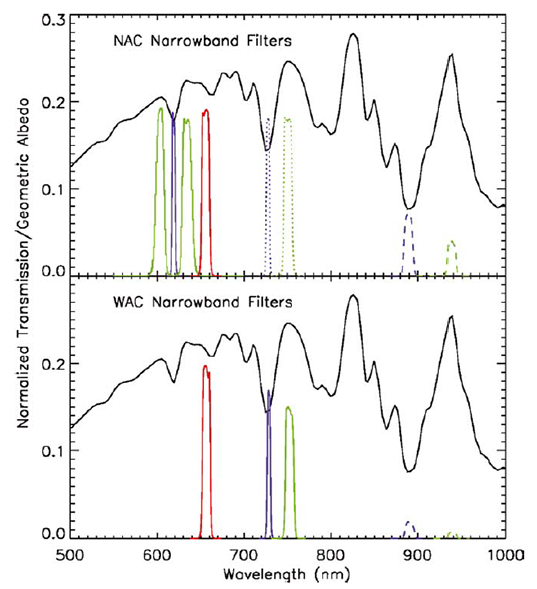 Filters for the NAC are as follows: UV1, UV2, UV3 (purple: solid, dotted, and dashed); BL1, BL2 (blue: solid and dashed); GRN (green); RED, (red); IR1, IR2, IR3, and IR4 (orange: solid, dot-dash, dashed, and dotted). 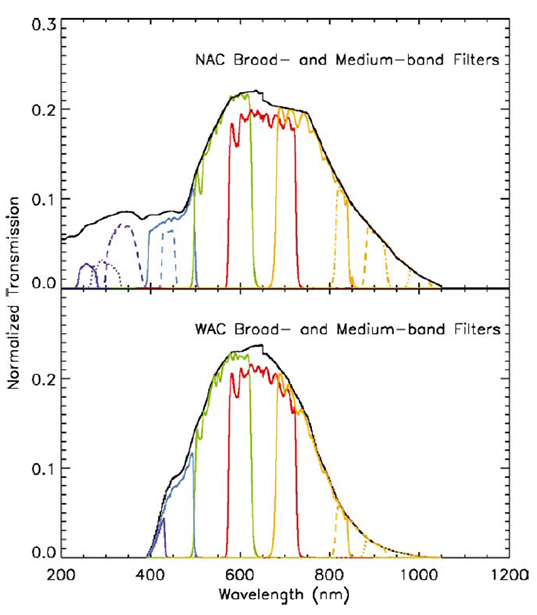 For the WAC: VIO (purple), BL1 (blue), GRN (green), RED (red), IR1, IR2, IR3, IR4 and IR5 (orange: solid, dashed, dotted, and the latter two not shown). 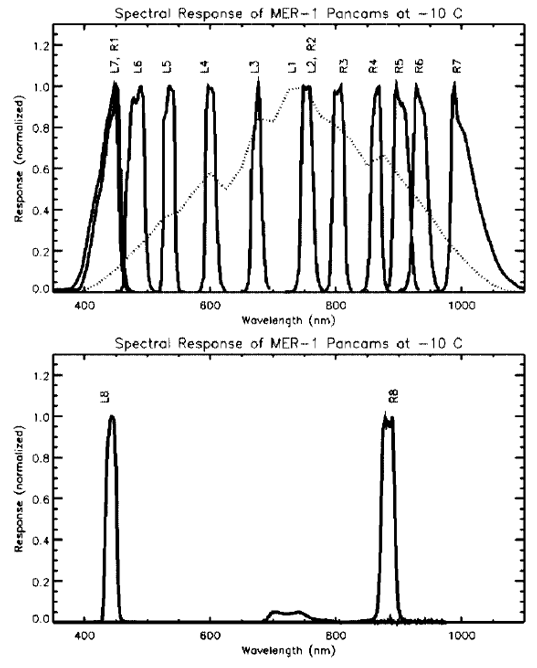 The CL1/CL2 filter combination is given by the solid black line in both plots.